Class of 1956 - Welcome! 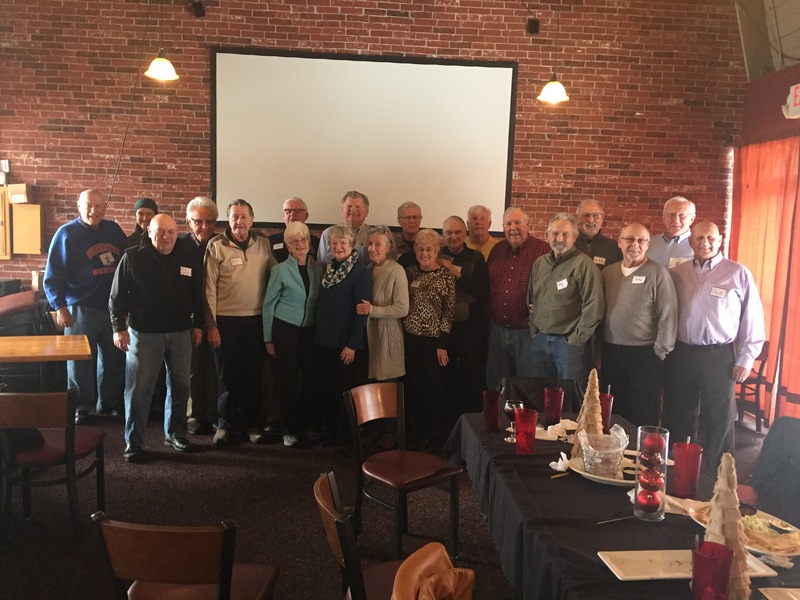 The Washburn High School Class of 1956 is a very close group. They hold very well attended reunions every five years. Starting with the 20th reunion, Dave Porter has presented a humorous presentation which rivals any humor of the day. Those of you who have experienced one of Dave's presentations know that he surely missed his calling! While the old website had been maintained for years by a member of our class, he has since moved on to bigger and better things. The website has been taken over by one of our classmate's sons. If you find any problems with it, want to have any content updated or changed, please send him an email and let him know. The lunch group back in December, 2017. Twice each year, generally in June and December, a faithful group of Cake Eaters gather at some exciting luncheon location in the Minneapolis area. These gatherings take the form of mini-reunions and are always a blast. Photos are posted on this website. During preparations for the 50th class reunion, the idea was formed to establish a scholarship fund to aid graduating Washburn seniors in their quest for higher education. The details were worked out in time for the reunion and the WHS Class of 1956 Scholarship Fund became a reality. This is a registered 501 (c)(3) non-profit organization and is self governed by class members. Those wishing to donate should contact Ernie Peacock via email. Donations may be tax deductible.